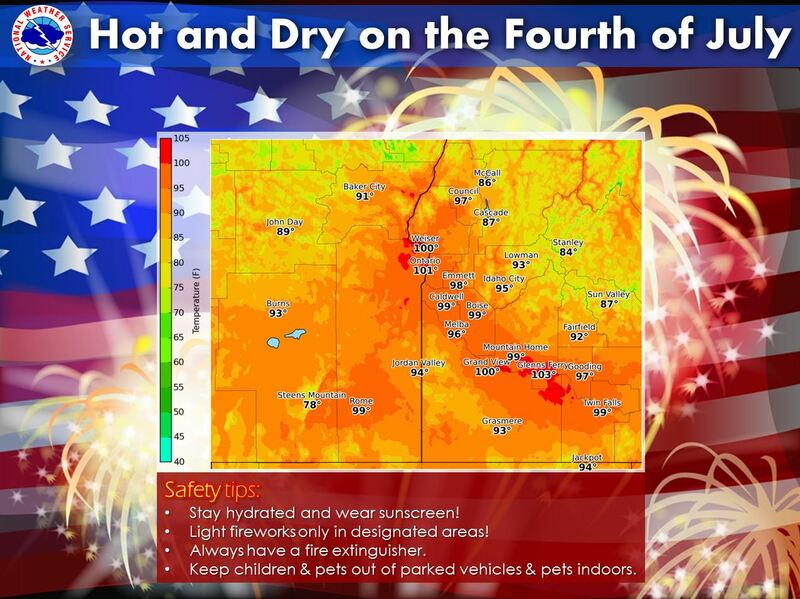 Ever wondered about the Fourth of July Weather History across Southeast Oregon and Southwest Idaho? Hot and dry weather will continue through next week. 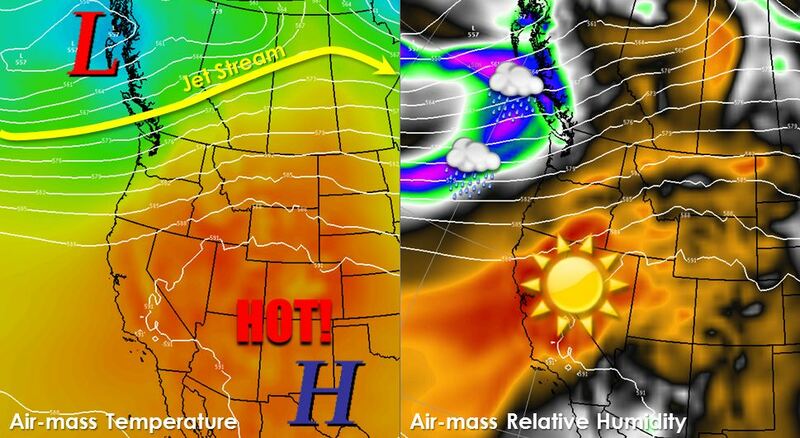 Here is an illustration of air-masses and upper level moisture for Friday July 4, 2014 and for Tuesday July 8, 2014. The air-mass temperatures are shaded with cooler being blue and warmer temperatures being red. Air-mass moisture is shaded by dry in reds and oranges and moist using white, green, blue and pink (most likely rain) to highlight areas of cloudiness. The jet stream will stay well north of our region, thus expect hot and dry temperatures to continue with only high clouds passing by. Later in the week the Monsoon (sunny mornings, afternoon thunderstorms) begins to move northward as the high pressure shifts over Southern Nevada. 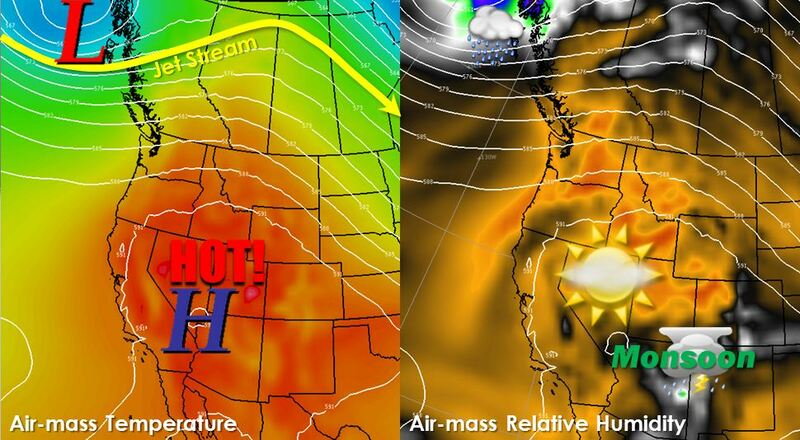 This will bring warmer temperatures as the warmest part of the air-mass moves closer to Southwest Oregon and Southeast Idaho Tuesday into Wednesday and the possibility of thunderstorms beyond that if the monsoonal moisture is pushed into our area.